Even though we see a lot of concessions, there are also limits to the concessions. So this isn’t fully caving in. Whew! I was worried there for a minute. But at least we’re not fully caving in. which already meet the 3 percent standard easily.” And remember that this was Tim Geithner’s reason for opposing leverage ratios in the financial reform bill: he thought it was better handled by the Basel process. That’s not looking like such a great bet right now. And how about the “net stable funding ratio,” which you recall has to do with preventing bank runs in the shadow sector. Basically, it would require financial institutions to rely less on overnight and other short-term funding, which can dry up quickly when markets panic, and more on longer term funding. It’s a great idea, but the draft agreement punts: “The Committee remains committed to the introduction of the NSFR as a longer term structural complement to the LCR. Nevertheless, the initial NSFR calibration as set out in the December 2009 proposal needs to be modified….A number of adjustments are under consideration.” I think we can safely expect this entire subject to be slowly forgotten. 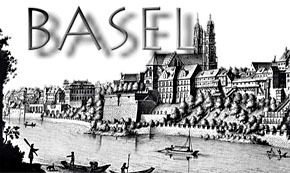 Basel III appears to be better than Basel II and better than the status quo. But not by much. Here’s most of what you need to know: Bloomberg reports that Frederick Cannon, chief equity strategist at New York-based Keefe, Bruyette & Woods, thinks the latest changes should please banks. And the New York Times confirms this: “The announcement helped banking shares move higher in Europe on Tuesday. Analysts said there was relief that the measures were not as punishing as they might have been.” And if banks are happy, that’s really not good news.